I came across an interesting fact the other day: In 1958, the lifespan for a company on the Standard & Poor (S&P) 500 was roughly 61 years. Today, the average is just 18 years, which means that 75% of the S&P 500 will be replaced by 2027. At 107 years old, IBM has endured business shifts, industry disruption and its fair share of transformation. While we are well known for our technology, industry expertise, and research – these are not what differentiates our brand. The IBM brand is defined and experienced through the IBMer. And I believe this has enabled this company to withstand change, take on challenges and deliver value to clients for over a century. It’s the IBMer that shows up every day in our clients’ businesses on behalf of their clients and customers to bring our technology to life, to reimagine the way we live and work. And it’s the IBMer that impacts the lives of millions of Australians and New Zealanders every day. 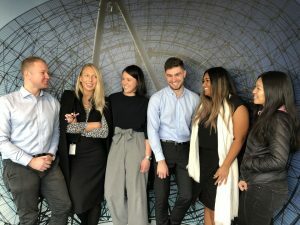 So when I returned to Sydney in 2017 to take the role of Managing Director for IBM Australia and New Zealand, my goal was to refocus our company on what is essential to our clients—our people and their innovative ideas. The benefits of an engaged workforce are well researched – in some cases leading to as much as 18% higher levels of customer retention and 40% increase in operating profit. Apart from it making good business sense, I’m a proud IBMer who wants to see our company and our people accelerate and continue to provide clients with ground-breaking technology that reinvents business for another 107 years. Locally we have embarked on a journey. A journey that will create a culture that empowers our people to continue to do their best work in a collaborative way and deliver the best outcomes for our clients. The experience so far has been simultaneously exciting, confronting and enlightening – and that’s all part of the journey and I’d be surprised if other organisations were not being similarly challenged. As we continue our collective efforts to develop a new culture, I know for sure that IBMers will never stop challenging the status quo, or looking for new ways to work, engage, and create the kind of innovative solutions that have built the IBM brand. David La Rose has been with IBM for over 25 years. He has held a series of progressive leadership roles in sales, channel management, and brand management across global regions spanning 170 countries. 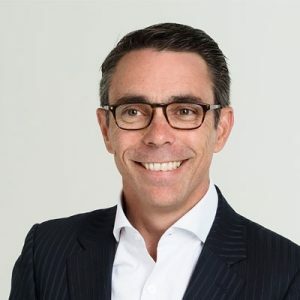 He is currently the Managing Director for IBM Australia and New Zealand where he is leading the business locally, and helping IBM employees, clients and business partners reshape industries and make markets in the digital economy.